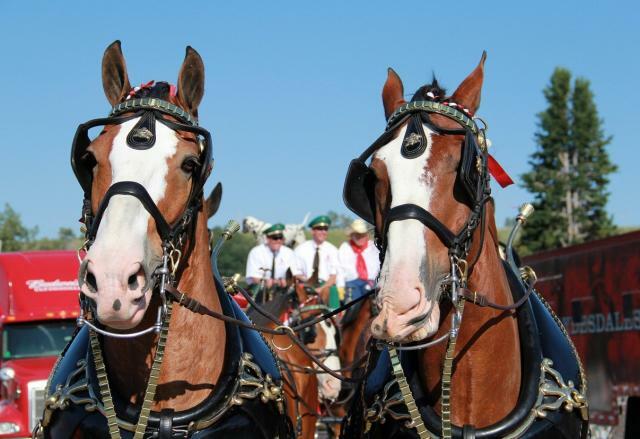 On Thursday October 13th at around 4:00pm, the Budweiser Clydesdales will be making several stops in the Hillsdale and Westwood area. These majestic horses will be making stops along Broadway at some of our local businesses. This is a great oppurtunity to come see these horses, in addition, we will have some temporary road closures and detours in the area of Broadway from Hillsdale Ave into westwood at approximately 2:30-4:30pm on Thursday October 13th. 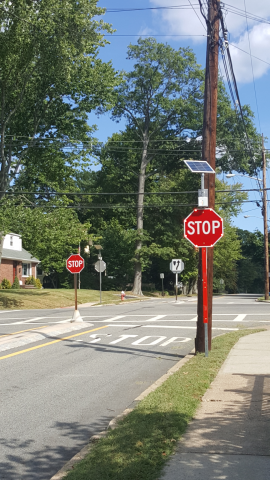 Chief Francaviglia along with the Hillsdale Police Traffic Division are proud to announce their "Solar Traffic/Pedestrian Safety Initiative". The new stop signs placed at Washington Avenue and Kinderkamack Road, two new pedestrian crossing signs at Hillsdale Avenue and Yesler Avenue and Broadway and Park Avenue, and a school/speed radar sign at Ruckman Road and Watson Place have all been outfitted with solar panels that will illuminate the signs with LED lights twenty four hours a day, seven days a week. The radar sign at Ruckman Road and Watson Place will be activated during school days 7:15am to 4:15pm, so remember 25mph through all school zones! These signs are one hundred percent powered by solar energy and will promote a safer environment for everyone. The LED lights around the signs will allow drivers and pedestrians to see them at all hours of the night and through all types inclement weather. This initiative will also be placing a radar sign on Broadway just north of Orchard Street in the near future. 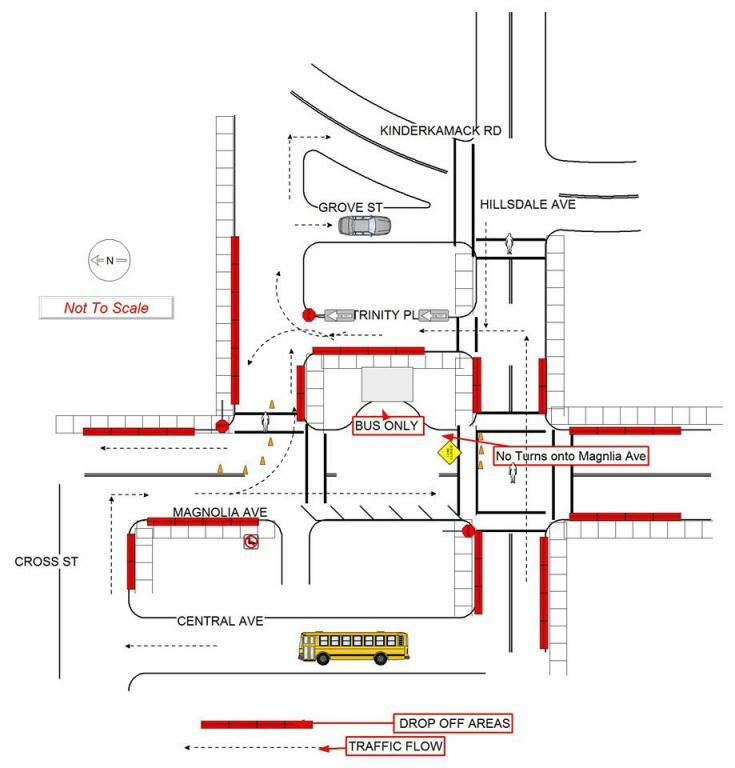 The Hillsdale Police Department will be launching a new traffic pattern at the George G. White Middle School for student drop off and pick up times. The traffic pattern will increase the safety of the students as well as allowing for a better flow of vehicles around the school area. Most notably the plan will restrict vehicles from turning onto Magnolia Avenue from Hillsdale Avenue, essentially turning Magnolia Avenue in front of the school into a one way street during drop off and pick up times. All vehicles will need to access Magnolia Avenue from Liberty Avenue, Cross Street, Conklin Avenue, Large Avenue or Piermont Avenue.